UFC 223: Khabib Nurmagomedov vs Al Iaquinta Fight Pick & Preview | MMA Fighting Events Videos Techniques UFC Fight Picks and News. Finalizing the UFC 223 main event has been an absolute circus! 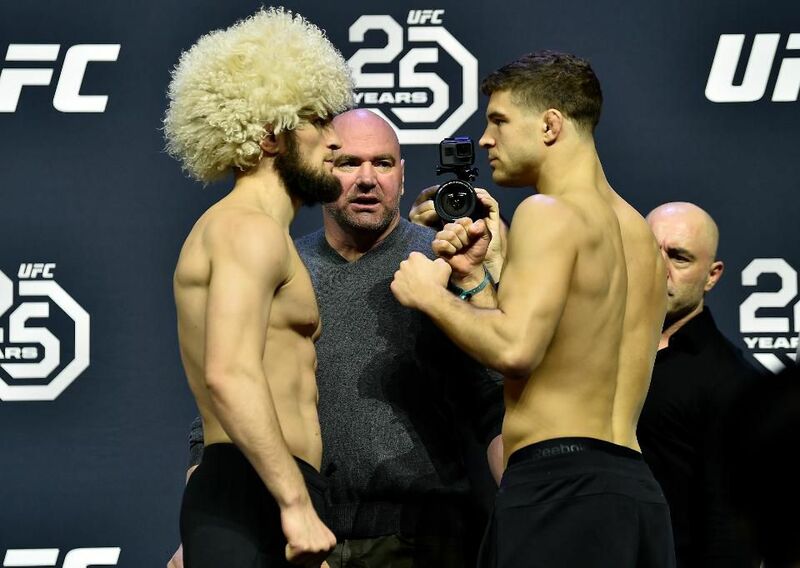 But, as of Saturday morning, the main event will be Khabib Nurmagodedov vs. Al Iaquinta. Hopefully the dust has finally settled and the main event stays as that! 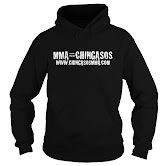 In 2017 Chingasos MMA went 10-2 in main event fight picks making a whole lot of people a whole lot of money. Bet at your own risk. It's time to break this fight down and make a fight pick and prediction. Al Iaquinta has stepped in on 1 day notice and brings with him an MMA record of 13-3. Iaquinta is no slouch though, he's on a 5 fight winning streak with four of those coming via KO/TKO! Iaquinta can bang and throw chingasos but he also has a strong wrestling base. His takedown defense is one of the best and will definitely test Khabib Nurmagomedov. Khabib Nurmagomedov is coming into UFC 223 with an overall MMA record of 25-0! When Khabib isn't submitting opponents (8 on his record), he's taking them out via KO/TKO (8). When he can't sub or KO/TKO he'll just grind you down and get the decision. Khabib just knows how to win! Most of Khabib's opponents have been so fearful of the takedown and ground and pound that they leave openings for hard chingasos in the stand up realm! Khabib will deliver those as his 8 KO/TKO's show. This fight will be interesting as Iaquinta has great takedown defense. Look for these fighters to trade standing. But, eventually, Khabib will find an opening and have another W in his bag. Kudos to Iaquinta for stepping in on short notice, but that short notice will not be helping him in this high caliber fight.